Recently, I was able to attend Sol’s 100th birthday bash, which was held at the Museum of Jewish Heritage, in the same room where my daughter Mia had her Bat Mitzvah party. Sol was the youngest member in an observant family of eight from the small Polish town of Krosniewice, half way between Warsaw and Berlin, which was occupied by the German Army on September 16, 1939. Once his father was taken away, the rest of the family spent two years in the local ghetto, where Sol found work as an orderly. Following a tip by the a Nazi officer, he was able to save himself and his entire family a day before the ghetto was liquidated. Sol worked in various factories and made his way through a number of camps, finally seeing the US Army entering Theresienstadt. However, luck did not hold up for the rest of his family. With the exception of his brother Henry, none of them made it through. Right after the war he married Sally Kuperwasser and the couple found their way to New York, where he went into the slip-cover business. For health reasons, the couple left their three grown children and moved to Los Angeles, where Sol continued in his line of work and became active at the Simon Wiesenthal Center for Tolerance. After Sally passed on suddenly, Sol moved back to New York’s Upper West Side, where he still lives in his cozy apartment. 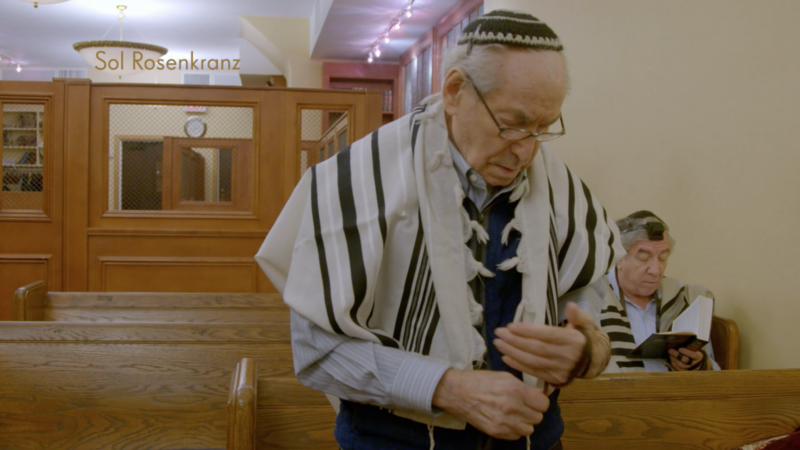 He is still an active member of his synagogue and still occasionally runs tours for New York school children at the Museum for Jewish Heritage in Battery Park City.